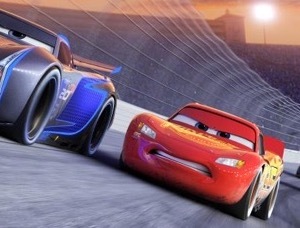 "Cars" cash: As movie genres go, 3D animated family films are still one of Hollywood's best bets. Disney and Pixar Animation Studios' G rated adventure comedy "Cars 3" may not be doing "Wonder Woman" type boxoffice business, but its $53.5 million opening at 4,256 theatres last weekend is still much better than some other high profile arrivals have done lately. It also was more than the $40 million to $50 million launch that Hollywood handicappers were talking about earlier this month. "C3's" arrival over Father's Day weekend was great timing for dads and kids to do some fun moviegoing together and likely played a part in the film's accelerated start. Directed by first time feature director Brian Fee, who was a storyboard artist on the first two "Cars" franchise episodes, its voices include: Owen Wilson, Cristela Alonzo and Chris Cooper. Disney said Sunday that "C3" is "the 16th Pixar film to open at #1. A strong 'A' Cinemascore continues Pixar's impressive streak of 18 straight A-range scores (out of 18 films)." The film's domestic audience, according to Disney, was 51 percent male and 49 percent female. The demographic breakdown was: Adults (19%), Families (75%) and Teens (6%). The age groups attending were: 12 & Under (35%), 13-16 (10%), 17-25 (13%), 26-34 (18%), 35-49 (16%) and 50+ (7%). "Internationally, 'Cars 3' opened up with $21.3 million from a handful of territories including key markets Russia and Mexico," Disney noted. "Of particular note were strong debuts in Russia, Mexico and India setting it up nicely for a successful run. The film will continue its international rollout in Australia and New Zealand next weekend before expanding across the globe through the summer and fall." Between its domestic opening and its limited international launch, "C3's" global cume after its first weekend is $74.8 million. In the coming months, "C3" will be driving into such major international territories as Brazil and Korea (July 13); Spain and the UK (July 14); Japan (July 15); France (Aug. 2); Italy (Set. 14); and Germany (Sept. 28). The nice thing about 3D animated features is that they always have a clearly definable audience of parents looking for things to do with their kids. Moreover, when the weather's bad – like rainy summer weekends – family films are a great way to fill some of those hours that would otherwise be spent at home with the kids "killing" each other. By definition, family films generate multiple ticket sales – three or four at a time is pretty standard and there's even more with bigger families or if kids-plus-friends are hitting the multiplexes. It also helps that there generally aren't a lot of family animated features competing for ticket sales at the same time. They tend to be released so that each one gets some breathing space before the next one turns up to go after the same demo. That's certainly not the case with action adventures or romantic comedies or horror films. In the ultra-competitive summer, there's less breathing space between animated giants than is typically the case in quieter times of the year. "C3," for example, will see 3D animated competition in its third weekend of release when Universal and Illumination Entertainment's action adventure "Despicable Me 3" opens June 30. "DM3," however, will get a lucky break since the next 3D animated release won't arrive for a month. That's Columbia and Sony Pictures Animation's PG rated "The Emoji Movie," which hits theatres July 28. 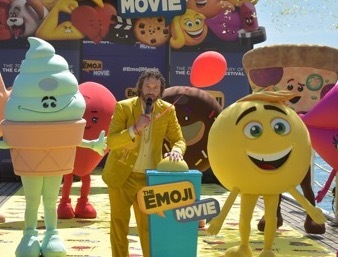 Directed by Tony Leondis ("Igor"), "Emoji's" voice talents include: T.J. Miller, Anna Faris and Sofía Vergara. "DM3" will also have the advantage of not having to compete with an established powerhouse animated franchise as "C3" will have to do when "DM3" arrives. The last "Despicable" episode, "DM2," opened July 3, 2013 to $83.5 million. It did $368.1 million domestically and $602.7 million internationally. That's definitely a lot more boxoffice horsepower than the "Cars" franchise has enjoyed. "DM3," by the way, is already off and running well internationally. It opened last weekend, per comScore, "at No. 1 in Australia, Malaysia, Philippines, Singapore and Thailand with an estimated weekend box office of $10 million at 686 dates. These territories opened ahead of the rest of the world to tie in with local school holidays. "In Australia, 'DM3' opened Thursday and placed No. 1. The weekend estimate is $4.4 million at 284 dates. 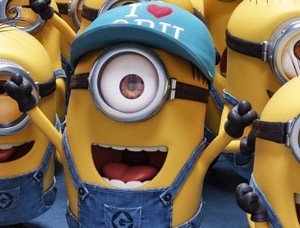 This opening is 17% bigger than the opening of 'Despicable Me 2' on the same date four years ago and 2% below (the spinoff) 'Minions' that opened on the same date two years ago." School holidays begin during the film's second week in theatres and will continue over the next six weeks. As for the "Cars" franchise, it's worth remembering that it's not just about theatrical grosses. It's also a huge merchandising business that's reportedly brought in more than $10 billion over the years and is still going strong. NOTES: "Cars" was the last movie Paul Newman made before his death from lung cancer in 2008. It turned out to be the biggest grossing film of his career. "Cars" also was the last movie for co-director Joe Ranft, who died in an automobile accident in 2005. "Cars" was the last film produced by Pixar prior to its January 2006 acquisition by Disney in a deal worth $7.4 billion. NOTES: "C2" was Pixar's first movie not to get an Oscar nomination for Best Animated Film since that category was established in 2001. It also was Pixar's first film not to win the Hollywood Foreign Press Association's Golden Globe for Best Animated Feature since that category began in 2007. Brad Lewis was originally going to direct "C2," but John Lasseter was brought on board during production and Lewis became co-director. Bottom line: Last weekend's domestic ticket sales were about $189 million, per comScore, down 18.8 percent vs. $232.8 million a year earlier when "Finding Dory" opened to $135.1 million. Also helping to prop up last weekend's total was Lionsgate and Morgan Creek Productions' R rated music biographical drama "All Eyz on Me," which opened third to a strong $27.1 million at 2,471 theatres. The true story of rapper/actor Tupac Shakur, it was directed by Benny Boom ("48 Hours to Live"). Starring are: Demetrius Shipp Jr. (as Shakur), Danai Gurira and Kat Graham. "Audiences loved the film," comScore senior media analyst Paul Dergarabedian said Sunday, "giving it 4 out of 5 stars on our PostTrak audience survey." The R rated music biographical drama "Straight Outta Compton" about the Compton, Calif. music group NWA opened via Universal Aug. 14, 2015 to $60.2 million. It went on to do $161.2 million domestically and $40.4 million internationally. The 2017 boxoffice to date is $5.248 billion, according to comScore, up 2.7 percent vs. $5.111 billion this time last year. The year's lead over 2016 is eroding. A week earlier, 2017 was ahead by 3.2 percent and one week before that it was up 2.8 percent, per comScore. The year-to-date could get a helpful boost from this Wednesday's launch of Paramount and Hasbro's PG-13 rated sci-fi action adventure "Transformers: The Last Knight" at about 3,900 theatres. Directed by Michael Bay ("Transformers" franchise), it stars Mark Wahlberg, Josh Duhamel and Stanley Tucci. The franchise's last episode, "Transformers: Age of Extinction," opened June 27, 2014 to $100 million. It did $245.4 million domestically and $858.6 million internationally.